Volga Dream PLATINUM caters to discerning travelers who prefer to travel privately or in an intimate group. This journey includes accommodation in the finest 5-star hotels in Moscow and St. Petersburg – the Ararat Park Hyatt and the Grand Hotel Europe – and extensive touring of the most breathtaking sites in a group of 12-15 guests. 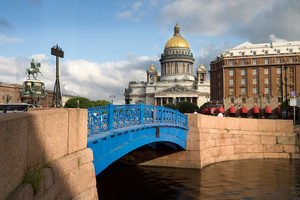 Upon arrival in St. Petersburg, which Peter the Great transformed from marshland into a vibrant city of islands, canals, bridges and pastel-coloured palaces, transfer to hotel. In the evening gather for the warm-up meeting with your guide or spend the rest of the day exploring central St. Petersburg on your own. 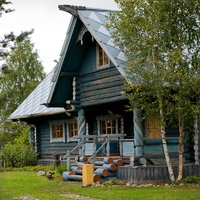 After lunch in a local restaurant visit a ‘Russia in Miniature’ Interactive Museum. Done with a great care and attention to detail, this very realistic model of Russia will give you a great picture of this vast country full of stereotypes, generalizations and main attractions of every region. 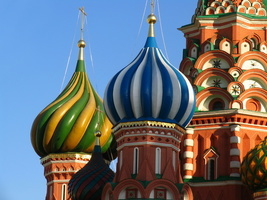 Then transfer to the awaiting luxurious MS Volga Dream and begin sailing along the Russian waterways. Gather for the Captain's welcome reception and dinner as we begin our cruise. and the famous Transfiguration church, built in 1714 without a single nail. 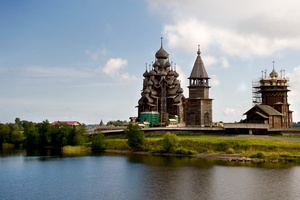 Today we cross Lake Beloye, or the White Lake, formerly known as the “tsar’s fishing grounds”. After lunch we arrive in the peaceful village of Goritsy to tour the fortress-like Kirillov-Belozersky Monastery with magnificent frescoes by one of Russia's most renowned icon painters. Return to the ship after guided tour. governor’s house, and then re-board the MS Volga Dream in time for lunch. This morning dock in the ancient trading town of Uglich, one of the spokes of Russia’s renowned Golden Ring. 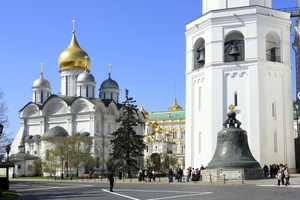 Explore the impressive Church of St. Dmitri-on-the-Blood, erected on the site where Dmitri, son of Ivan the Terrible, was murdered in 1591, and attend an enchanting concert of choral music at St. John’s Church. In the afternoon disembark from the Volga Dream and transfer to hotel. 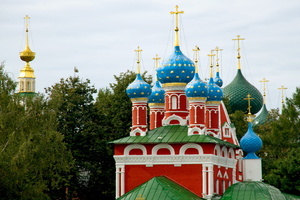 After lunch join orientation tour of Moscow and visit famous Novodevichy Cemetery which holds the tombs of Russian authors, musicians, playwrights, and poets, as well as famous actors, political leaders, and scientists. Visit Museum of Cosmonautics to learn about Yury Gagarin’s first flight in the space and proceed to an outdoor Exhibition of Achievements of the People's Economy – a truly remarkable footprint of Soviet Architecture and design. Begin the day with an orientation city tour of Moscow and after lunch, proceed to the Tretyakov Gallery, the first museum dedicated exclusively to Russian fine art. Explore Moscow’s Metro, known for its architectural splendour.